I decided to pull my bike off of the trainer in the living room and hit some pavement. With much rain here in the northwest and snow in the mountains, my workouts have been in the gym and on the bike trainer inside. The weather forecast was good today and I thought maybe I might even see some sunshine. I feel so lucky to live on the island and have this great ride at my doorstep. I took the photo above today, January 11, 2013. 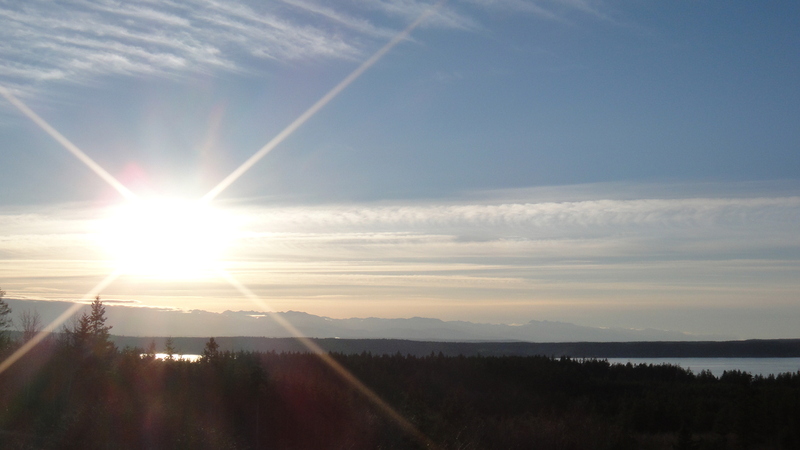 It was taken from the north end of Camano Island looking past the town of Mt. Vernon to Mt. Baker. 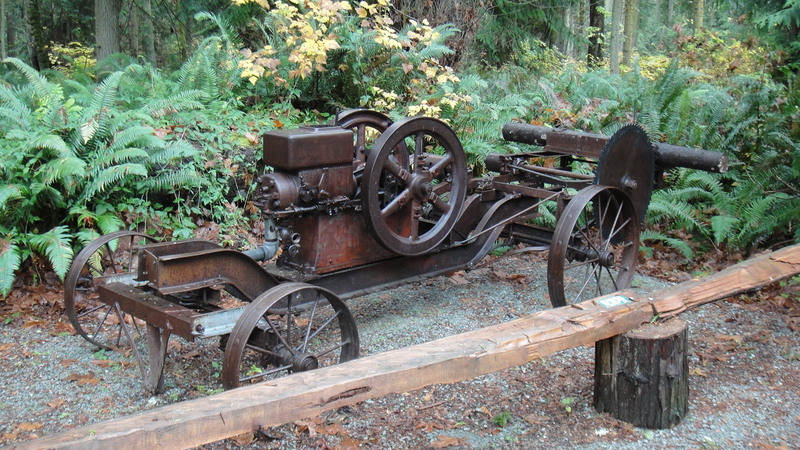 Camano Island has a rich history of logging and was known as a great fishing and resort destination. The exterior loop roads that take you around the island for the most part follow the paths made by those early pioneers and loggers. I hit West Camano Drive and headed south around 2:30 pm. The tree filtered sun was very welcome and the temperature was around 46 degrees and dropping. Even though I had several layers of clothes on, I knew that it may be a bit uncomfortable by the time I made it through the east shaded side of the island. I have read many posts from cold weather riders but have not purchased the proper clothing yet. I’ve done this same ride a few times before but those were during much warmer months of the year. 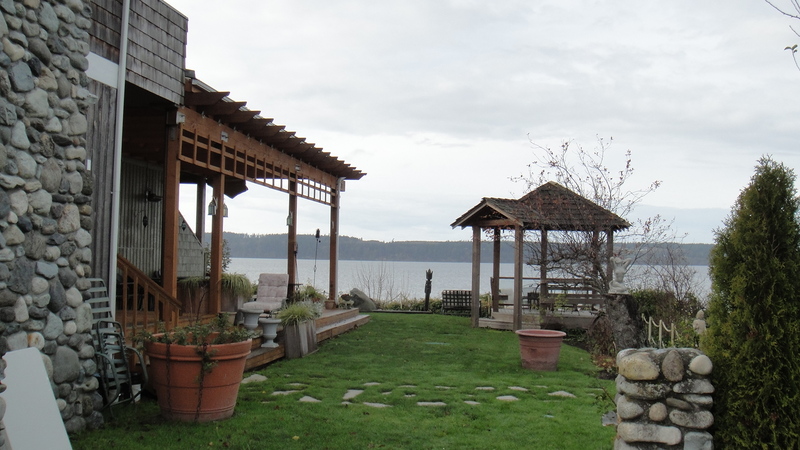 The peek-a-boo views of the Saratoga Passage and Whidbey Island were great. The air quality was much improved from the smokey atmosphere caused by the summer forest fires of Eastern Washington. To my southwest, I could see the Olympic Mountains which brought back fond memories of the Hurricane Ridge Ride I made two months earlier. 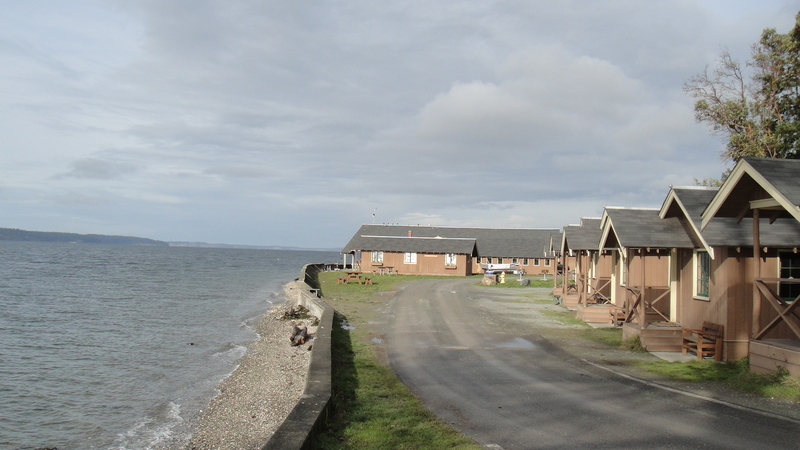 I passed the Camano Inn which is a very nice place to stay. This five star establishment offers fine dininer and a massage after your bike ride. 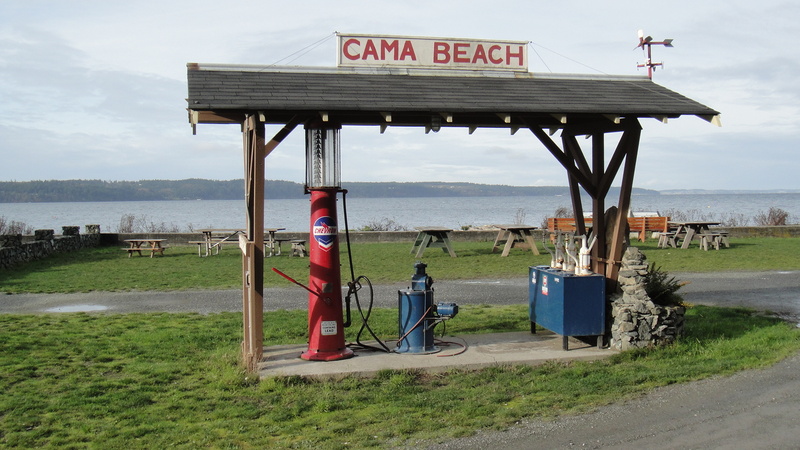 I continued south on West Camano Drive and took a detour at Cama Beach State Park. This state park was one of the many resorts that used to dot the island. Most of the original cabins and building have been restored. Durning the summer months you can rent a cabin or one of the more upscale bungalos. The origial store and cafe will ensure you are fed and watered. The old boathouse is also restored if you feel the need to hit the salt water in a wooden boat. For those that arrive here on four wheels there is an upper parking lot where you will park before being shuttled to the beach. I took a little too much time checking out Cama Beach but the climb up from the beach to West Camano Drive warmed me up quickly. It wasn’t very far down the road where I took W. Mountain View Road to South Camano Drive. If I would have gone right ot S. Lowell Point Road it is a short ride to Camano State Park. 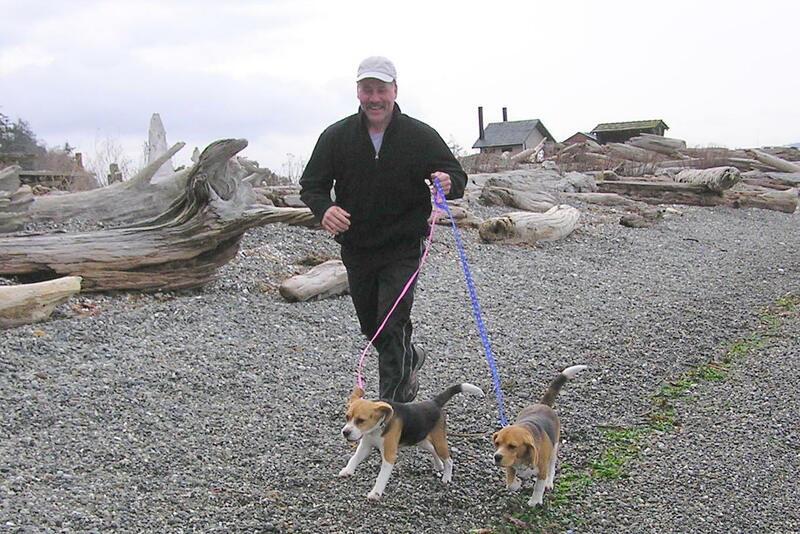 The beagles often take me to the park for a walk. They love to root along the shore and run the logs as they find lovely little treasures to munch on. I’ve attached a few photos so you can get an idea of how nice it is there. 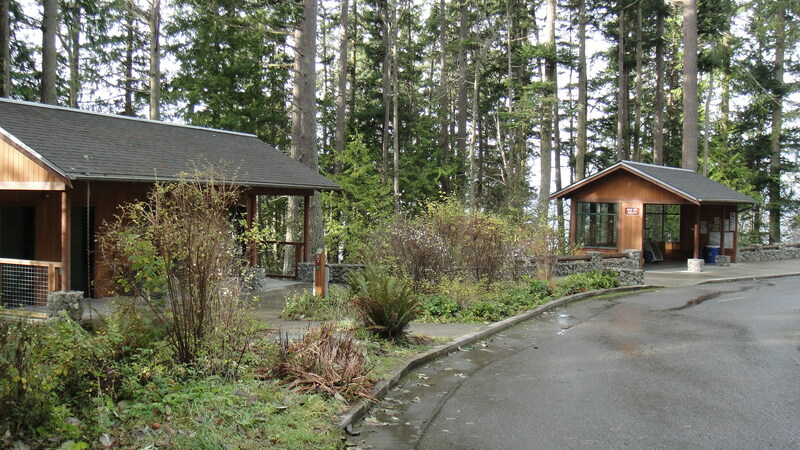 There are a variety of camp sites, cabins, day use areas, a boat launch, and beach side picinic shelter to enjoy. 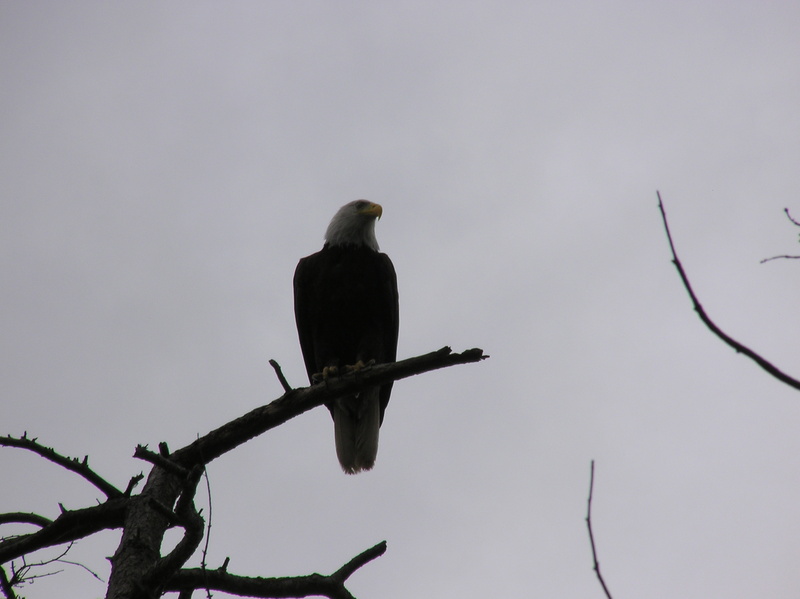 If you look to the west as you go down the hill toards the boat launch you may see a bald eagle or two. They often roost on a branch above the picinic table . I shifted down several times and ground uphill for for a bit as I neared the south tip of the island. There are several property lots for sale which offer an incredible view of Hat Island and Possession Sound. In approximately 1820 there was a major landslide here during which a chunk of this southern tip fell into the sound. This caused a tsunami which hit Hat Island killing many of the Indian tribe living there. 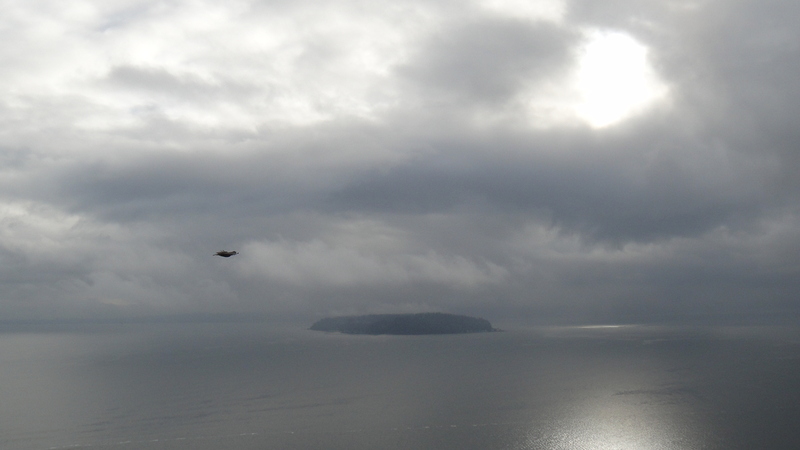 Three eagles were putting on an air show for me as I stood on the south bluff. If the clouds would not have moved in you would be able to see Everett to the left of Hat Island. The road turned into East Camano Drive as I pedaled north. The sun was now too low in the west and shaded by the trees to give me any warmth. I spured my horse to get some more speed. 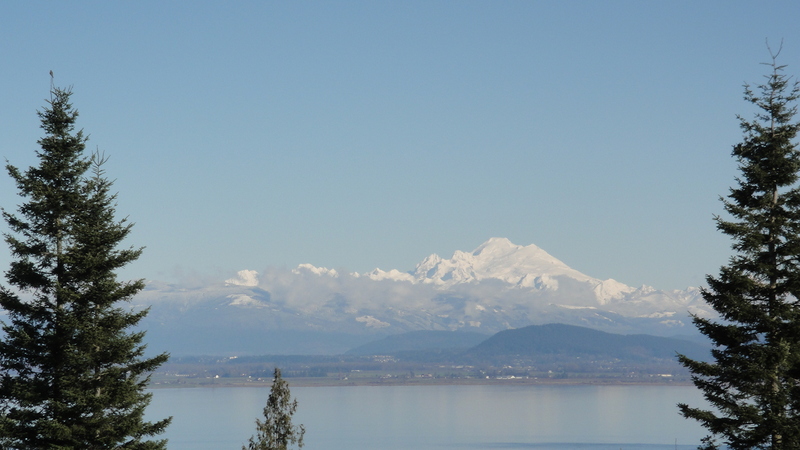 On this side of the island you also have views of Port Susan and the Cascade Mountains. The temperature was now at 42 degrees plus biking wind chill factor. I Passed through Terry’s Corner and neared the north end of the Island. Check out the book “75 Classic Rides, Washington” written by Mike McQuaide. I highly recommend this book as it will take you through some great rides around the state. Mike did a great job of describing the rides so you know what to expect and can enjoy the ride to the fullest. 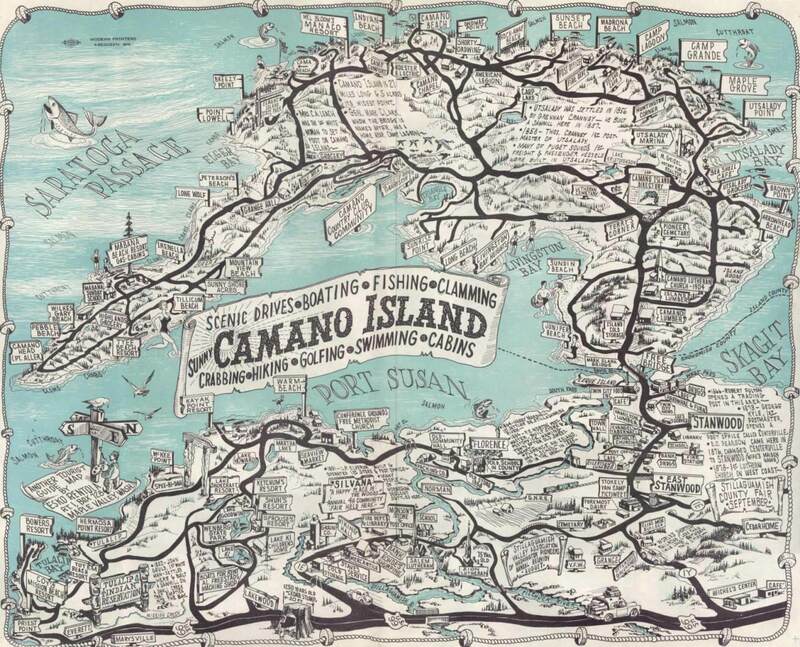 You’ll find the Camano Island Loop ride on page 54. At the end of your ride stop by my place and I’ll open a bottle of Bosman Gardens red wine for you. 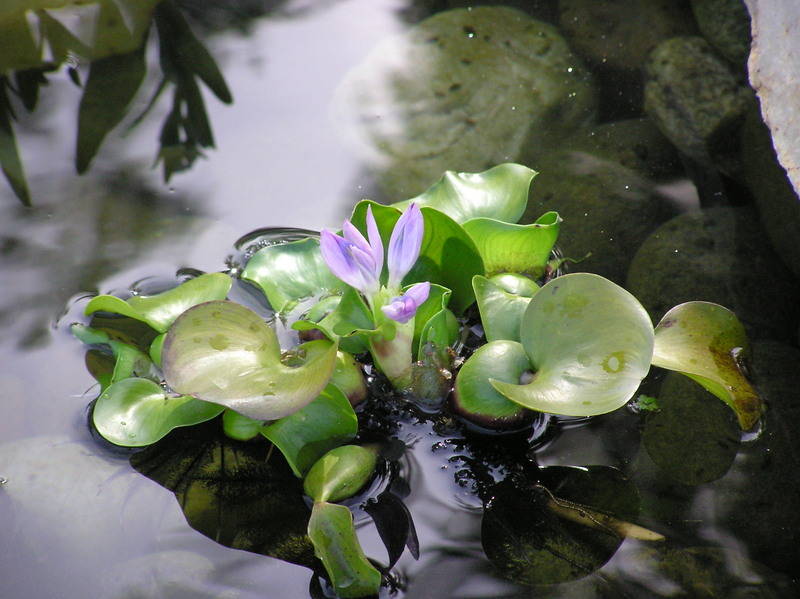 You can tell me about your adventures as we are surrounded by flowers, birds, and the bubbling waterfall of the pond. I’ll see you then. 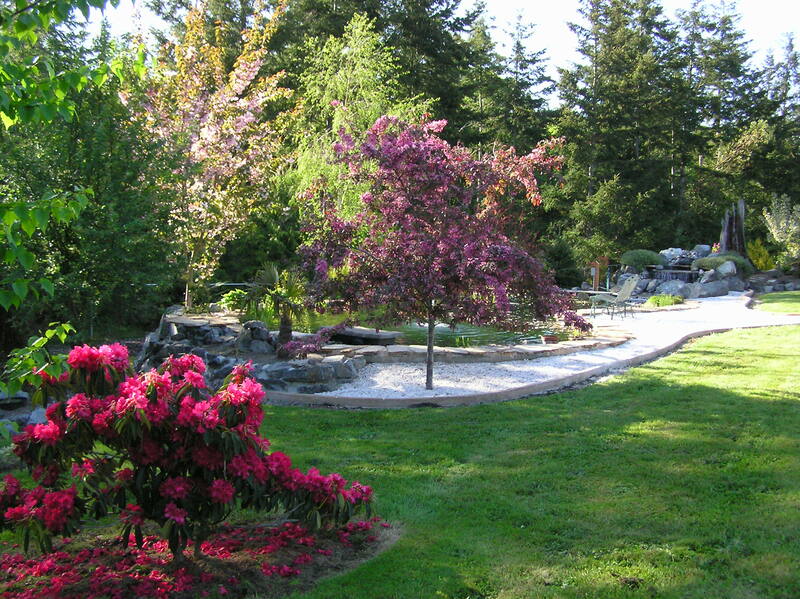 This entry was posted in Bicycling, Bosman Gardens, Camano Island, Photography, Washington State, Washington State Parks, Wine. Bookmark the permalink. Nice work. 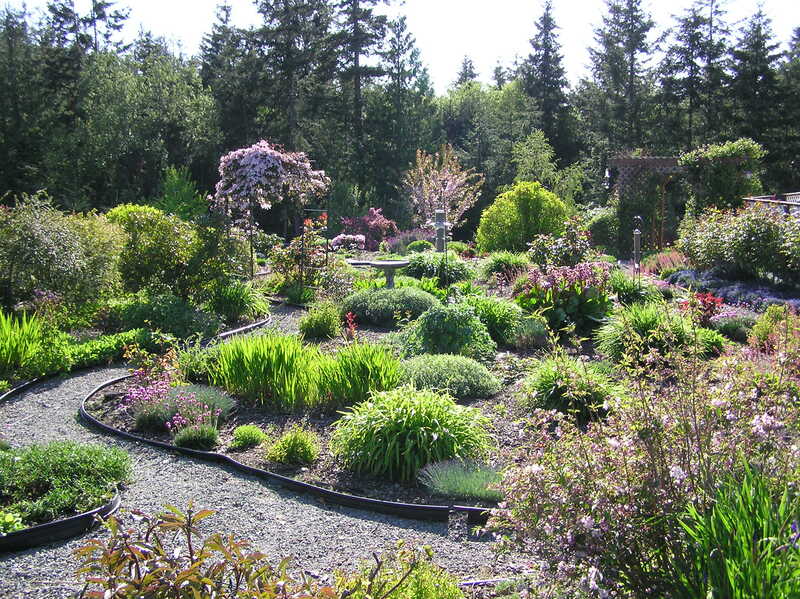 Your gardens look beautiful. Well it took a few months but I finally got caught up on posting the stories from this last summer. Thanks for introducing me to the blog world. It was truly my pleasure, cause now I get to enjoy your stories and photos too.